There’s a good chance your buyer is already on our qualified waiting list. We’ve been in business for ten years and speak to thousands of active local/ national buyers, as well as international investors weekly.  loveyourpostcode.com adopts a modern performance led approach to selling homes: advertising online, property portals, digital billboards, social media, newspapers, life style magazines, digital window displays & property particulars. Our about our ‘complete exposure’ promise. Our own in house professional photographers will take beautiful high resolution photography of your home. Our professionals add value to your every move. Our qualified telephone negotiators arrange viewings 12 hours a day, 7 days a week, up & down the country. Your local property expert will be showcasing your home and following-up with buyers pre & post-appointment. No one is more thorough than Love Your Postcode. We have a dedicated team of specialists solely tasked with progressing offers. We will add value to every step of the process, by checking chains, liaising with solicitors, lenders and mortgage brokers. Tell us your required selling price and we will work to get you just that. No negotiation. Because only weak estate agents negotiate. We’ve been Birmingham’s No.1 performance estate agency for three years. ✓ AllAgents Gold Award Winner: Estate Agent of the Year for Customer Experience 2015, 2016 & 2017. ✓ Our Performance&™ channel is better than Purple Bricks, YOPA, Emoov, House Simple & House Network. It’s only payable if we sell your home for the required price. ✓ #No.1. We have consistently been Birmingham’s highest performing estate agent for three years; on average achieving 99%+ of the advertised price. ✓ On average when compared, our clients are better by up to 4.6% on the final price because we don’t negotiate. Our valuations are accurate, our waiting list is strong and our team delivers on its guarantee. ✓ loveyourpostcode.com is ranked in the top 1% of British estate agents. One of our experts will carefully select the correct one for your investment. The process usually takes 10 – 15 days from marketing through to key hand over. Our in-house professional photographer will take beautiful high resolution photographs of your property. Our approach creates more value for your investment. No one is more thorough than Love Your Postcode. We have a dedicated team of specialists solely referencing applications. We use third party information providers such as Experian & Credit Safe that turn around our requests within hours. We can go as far back as 5 years to build up a profile. Love Your Postcode provides an experienced dedicated account manager that not only knows your requirements but also understands your property and the tenants. We will take care of it all. Allowing you to focus the more important things, such as growing your portfolio. Our corporate contracts are provided for 3, 5 or 7 years. These agreements safe guard serious investors for most risks associated with private renting. All voids periods and break downs are fully covered by LYP. It really is a completely hands off approach with no risk. Speak to our dedicated corporate team on 0800 862 0875. ✓ No arrears, no voids and no repair costs. Get instant net profit on loveyourpostcode.com’s corporate package; now with a £25,000 guarantee included. ✓ On our corporate package, consider your property let as soon as we get it on. We will handle all repairs and management within minutes so all you need to do is collect guaranteed rent each month. ✓ loveyourpostcode.com has experience of over 1,000 managed tenancies over 10 years. Speak to our portfolio department on 0800 862 0875 about your requirements. ✓ Our British Gas partnership helps professional landlords save 30% on their annual membership. ✓ Smarter and more thorough. We never rely on just one source. We have a 7 point check list in getting it right on your next tenant.